Cross Country Cafe is offering two coffees this week for their Wacky Wednesday sale! 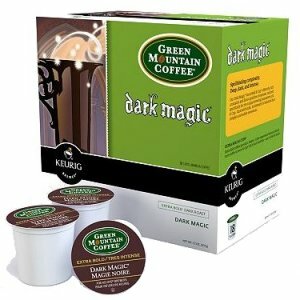 This week you can get Green Mountain Dark Magic or Dark Magic Decaf for $10.99. There are 24 K-Cups in a box, making them 45¢ ea. when you buy 5 or more boxes. Shipping is a flat rate of $8 or is FREE when you purchase 5 boxes.